creative Brinja is back! love your work! anders’ work doesn’t look too bad either. knowing his cooking skills I bet the pie tasted awesome! 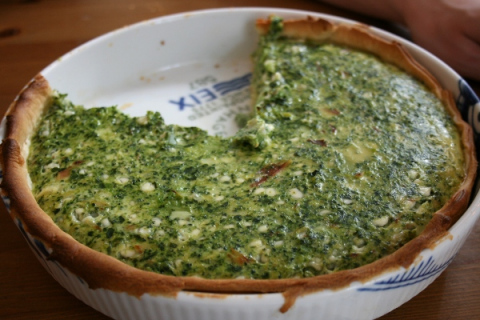 is the spinach pie like a quiche? Your entire site is beautiful and that pie is gorgeous. Congratulations! What a talented pair you are!